An alleged drug dealer from Oakville, Ont. has been charged with manslaughter and trafficking after a man who had used fentanyl died north of Toronto last Christmas Eve. An alleged fentanyl dealer from Oakville, Ont. has been charged with manslaughter and drug trafficking after a man who had used the drug died north of Toronto in December. The alleged dealer, a 37-year-old man, is due to appear in a Newmarket courtroom on July 6. The victim, a 35-year-old man, was found dead in the Town of East Gwillimbury in a home on Christmas Eve last year. In a news release on Monday, York Regional Police said investigators laid the charges after a lengthy investigation into the man's death. They said his death resulted from the use of fentanyl, a synthetic opioid more toxic than heroin. The drug was purchased the day before the man died, police added. Police were called to the home on Catering Road, near Warden Avenue and Ravenshoe Road, in the Town of East Gwillimbury at 2:30 p.m. on Dec. 24, 2017. The man was pronounced dead at the scene. Investigators determined who had sold the fentanyl to the victim. And last Thursday, police arrested and charged the alleged dealer. 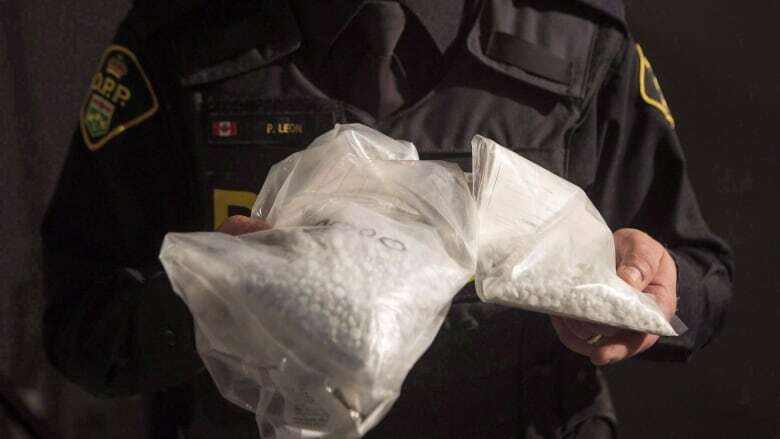 Anyone who may have bought drugs from the man or anyone who has more information about the death is urged to call police at York Regional Police's criminal investigations bureau at 1-866-876-5423, ext.7341.